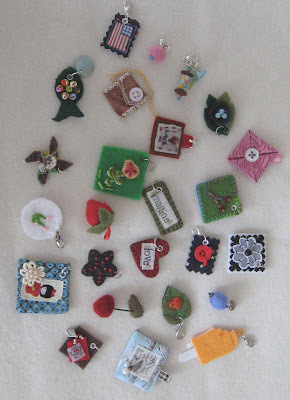 Here is the last fibre charm swap I was in. I love all the colour in these little beauties. You should click on the image and enlarge it to see them better. The charms I made are on the bottom. I have been doing these charm swaps on Two Peas in a Bucket. 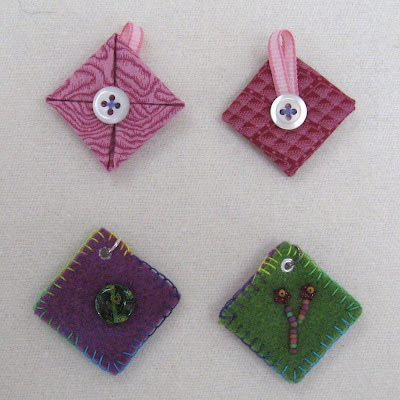 I think that I should get my Edmonton and Distict Quilters Guild to do a Fibre Charm Swap. 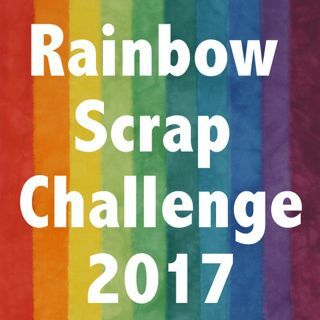 I will have to talk with the program poeple and see if we can do it this year.